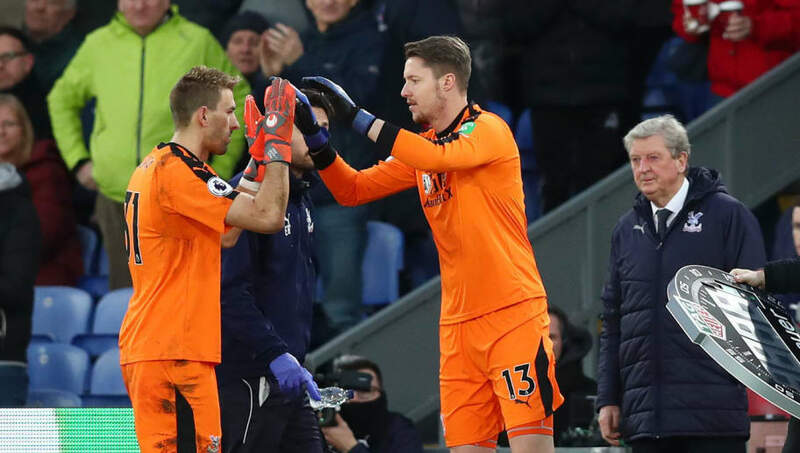 Crystal Palace manager Roy Hodgson has revealed that both Wayne Hennessey and Vicente Guaita are back in contention for the Eagles game against Southampton after spells on the sidelines. The duo's untimely injuries forced veteran Julain Speroni back into action, as well as the signing of 21-year-old Lucas Perri on loan from Sao Paolo as cover. However, speaking ahead of his side's ​Premier League clash with Southampton this Wednesday, Hodgson was happy to report a clean bill of health in his goalkeeping department. As quoted by the ​Evening Standard, he said: “Well all goalkeepers are fit now so that is good. I have a selection to make, but the good thing is the two that have been missing from the last two games due to injury are both available for selection alongside Julian Speroni. Hennessey has recently been charged for an alleged Nazi salute he made at a team dinner at the start of the year, and will face a ban unless he contests the charge before 31 January. However, Hodgson brushed aside questions regarding Hennessey's potential selection for the ​Saints clash, saying: “Yes that [the incident] has no effect on my decision whatsoever." With ​Palace three points clear of the drop in 14th place, and Southampton pertaining the same points total from a place below, this has been billed as a potential six-pointer for both sides, but Hodgson doesn't see it that way. The former Liverpool boss explained: “It is too early to talk about six-pointer games with 15 matches left to play, that’s an awful lot of football.